Mad Mex is a popular chain of well-known local and regional restaurants that describe their food style as “Funky Fresh Cal-Mex.” In other words, their primary cuisine is Mexican, but they also incorporate culinary influences from North America, Southeast Asia, and Spain. Mad Mex can be found all across Pennsylvania, but eight (soon to be nine!) of their Pittsburgh area locations have demonstrated a commitment to supporting vibrant communities and a healthy environment in the Pittsburgh region and have shown this by earning a Gold designation with the Sustainable Pittsburgh Restaurant program. The fresh, interesting flavors offer something for everybody: a cross-section of Mexican-American staples and unique variations on the theme offer visitors the opportunity to experience creatively-delicious meals. A well-stocked bar with traditional and inventive margaritas and a wide range of beers and cocktails echo the theme of the menu itself. 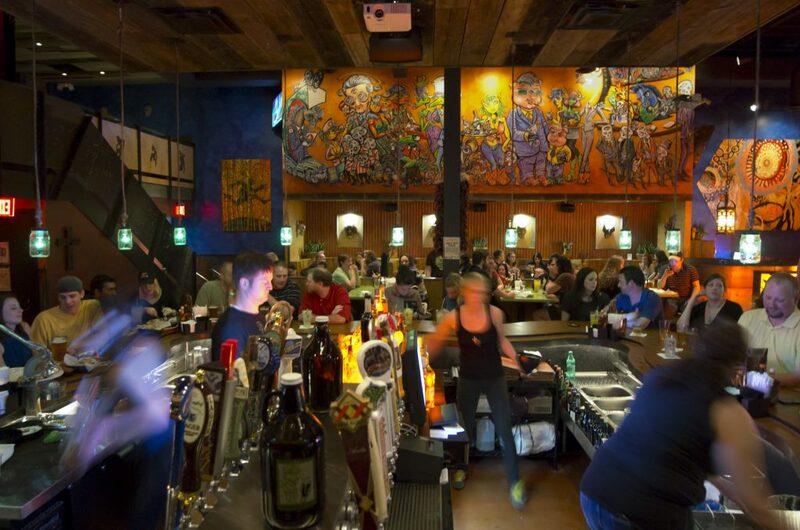 Each Mad Mex location is decked out in a dark, cantina-vibe, filled will pops of colorful art that draw from a blend of traditional Mexican culture and funky, modern steampunk. All in all, a visit to any Mad Mex is a fun and memorable experience. Each location of Mad Mex is slightly different in their approach to earning a Sustainable Pittsburgh Restaurant designation, but they all make positive contributions to creating a more sustainable restaurant industry. They limit waste by offering recyclable to-go containers made from recycled materials, using paper-free systems for processing guest and vendor orders, and by training employees to be conscious of paper waste. They conserve energy by using Energy Star Appliances, LED lighting, natural cooling in place of air conditioning when possible, and by making use of natural light. Ready for a unique and sustainable dining experience? Find the Mad Mex location closest to you. Hours vary widely across the locations.